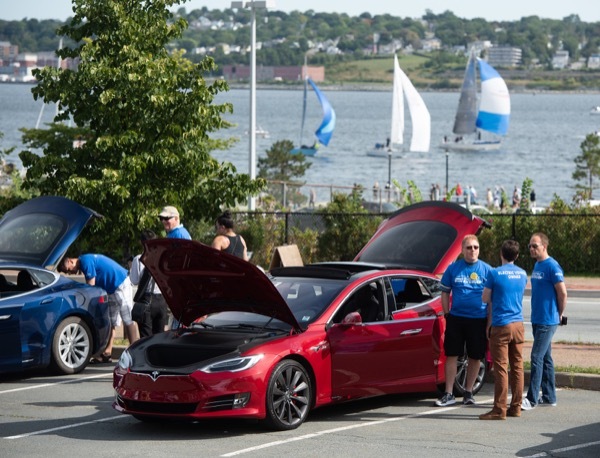 This year's event had 6 local EV owners offering ride alongs, as well as 2 dealerships - 1 offering test drives and 1 with a showcase of their EVs. There were also ~8 other EVs on display from local EV owners, and two electric bicycle companies offering test drives. Lion Electric Co. also provided an electric school bus to display for the day, and there were 20 Nova Scotia Power volunteers helping out. The event also featured research from Dalhousie University, and a kid's electricity demonstration provided by The Discovery Centre. NSP provided a free BBQ to attendees. Electric Avenue will include test drives of electric vehicles from local dealerships, electric bike test drives, and ride-alongs with EV owners. This event will be family-friendly. Registered attendees report 158,500 electric miles driven.